Today we will look at a simple game between two chess titans: Capablanca and Euwe. Although the game ended in a draw, it didn't end without a fight: Both sides fought actively for the advantage, making sure that every move they made had as much purpose as possible. 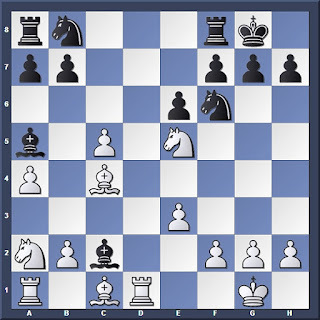 Alekhine: "If White hopes to get an advantage with this move, in conjunction with the following, he was mistaken. But also 9. Qe2 Ne4 (not 9... c5 10. Na2 Ba5 11. dxc5 Nc6 12. Rd1 Qe7 13. Nd4 Rfd8 14. b4! , as in Ragozin-Flohr, Moscow, 1936.) 10. Nxe4 Bxe4 11. Rd1 Nd7 as in the sixth round game Lasker-Capablanca, seems to give White no appreciable pull." Alekhine: "This move had to be very carefully calculated (or analysed beforehand) as it involves a temporary pawn sacrifice." After 10. dxc5? Bxc3 11. bxc3 White wins the pawn immediately but is left with a damaged pawn structure. Alekhine: "To allow this bishop to be exchanged would give White without a fight a distinct positional advantage." 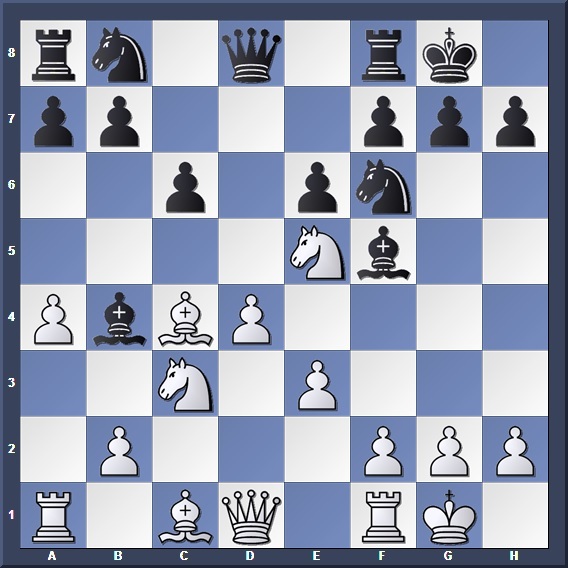 The key to Black's defence lies in piece activity. The two bishops are very strong in this position. Much better than 13. Rf1 Bc7 after which 14... Bxa4 follows. Alekhine: " 14. f4 Bxe5 15. fxe5 Nfd7 16. Nb4 Bg6 would yield White no profit"
Development with threat! Now 14... Bxa4? doesn't work because of 15. Bxe6 winning back the material. be a question of very little time." 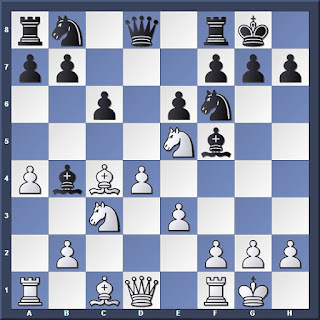 A multipurpose move, freeing the dark-squared bishop and gaining space on the queenside. 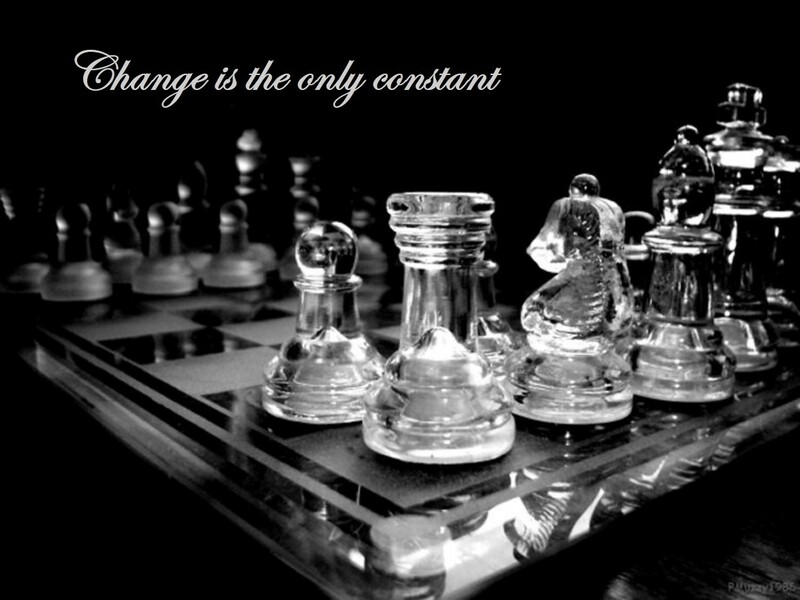 By now you should realize that every move counts. Both sides constantly improve their position while making threats at the same time. Retaking the pawn. The postion is now equal. Alekhine: "Black's positional advantage is only apparent, and would soon disappear after 22... Rfd8 23. Nb3 Nxb3 24. Bxb3 etc. " 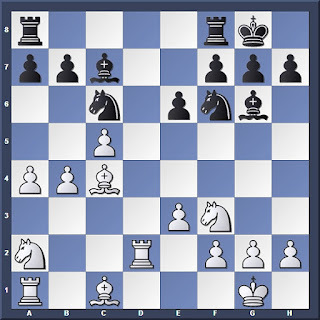 Make every move count: Develop and improve your pieces, while making threats at the same time to gain tempo. The two bishops are very effective in attacking enemy positions. 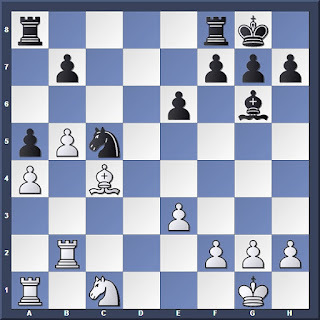 Sometimes it is worth giving up a pawn to damage the opponent's pawn structure, or disrupt his piece coordination.